On This Day – January 13th, 1914. On this day in 1914, Sir Ernest Shackleton publicly announced his Imperial Trans-Antarctic Expedition, which had been in planning for quite some time. 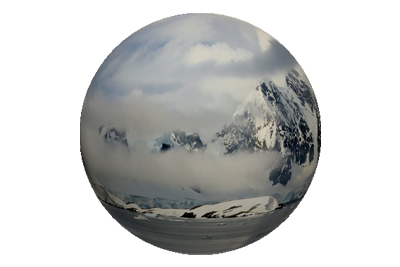 The main objective of the expedition was to cross the Antarctic continent, via the South Pole, from the Weddell Sea to the Ross Sea. The journey would be a gruelling 1,800 mile trek, in the harshest and coldest conditions on the planet, but this did not seem to deter those who applied to be among the crew. In all, Shackleton received almost 5,000 applications, from which he picked 56 men, to sail south aboard the Endurance and the Aurora. Tom Crean was appointed Second Officer, of the Endurance, less than a year after returning from Scott’s ill fated Terra Nova expedition. 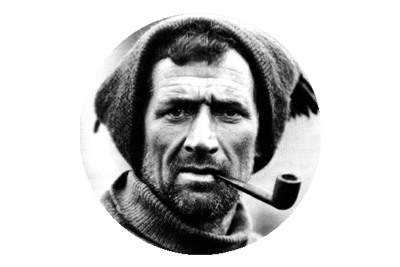 Of the 31 men who had ventured south with Scott in 1910, only one would ever attempt to return to Antarctica, and that man was Tom Crean. Shackleton struggled to raise the required funds for the venture but eventually he secured £24,000 from the main contributor, James Caird, £10,000 from Dudley Docker and an undisclosed but sizeable donation from Janet Stancomb-Wills. The lifeboats aboard the Endurance were later named after the three contributors, and an additional £10,000 grant from the British Government ensured that the expedition would go ahead. In the words of the British skiing pioneer Sir Harry Brittain, Ernest Shackleton had become “a bit of a floating gent”, since his return from the Nimrod Expedition, in 1909. 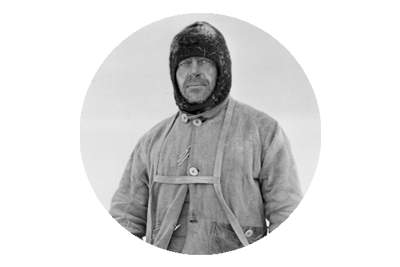 Shackleton had set a new farthest south record, and had stood, an agonizingly close, 97 miles from the South Pole. Unfortunately he was forced to abandon the quest for the pole, due to dwindling supplies, and both he and his three companions were very lucky to survive the return journey. The South Pole remained unconquered, but Shackleton returned home to much public acclaim, and was soon touring the lecture circuit. Yet deep down he craved a return to Antarctica, but feared that the accolade of being first to stand at the pole was about to slip from his grasp. Robert Falcon Scott’s Terra Nova Expedition, which commenced in 1910 was attempting to claim the prize. Shackleton was probably every bit as surprised as Scott, to learn of Roald Amundsen’s veiled arrival in Antarctica, and his determination to usurp Scott’s plans. Amundsen reached the pole on December 14th 1911, and the world would learn of his success on March 7th, 1912. It was almost one year later on February 10th 1913, when news of Scott’s defeat was confirmed, and compounded by the grisly details of the deaths of all five members of the Polar Party on their return march. With the South Pole well and truly conquered, Shackleton had set his sights on undertaking the first ever land crossing of Antarctica, from sea to sea, via the South Pole. He was not the first to envisage what he referred to as the “one great main object of Antarctic journeyings”. In December 1911, Wilhem Filchner led a German expedition to Antarctica, with just such intentions, but they failed to establish a base camp, because of ice conditions in the Weddell Sea. The Nimrod, moored off the Antarctic Coast. “After the conquest of the South Pole by Amundsen, who, by a narrow margin of days only, was in advance of the British Expedition under Scott, there remained but one great main object of Antarctic journeyings—the crossing of the South Polar continent from sea to sea. Photograph – “TheEnduranceInFullSail” by Frank Hurley – Old. Taken from english wikipedia. Originally from Royal Geographic Society. 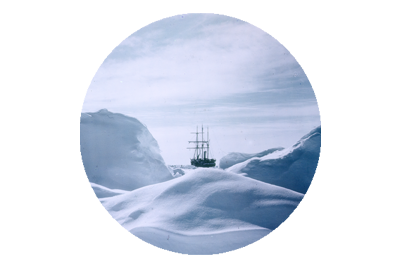 This photograph was published in the United States in Ernest Shackleton’s book, South, in 1919.. Licensed under Public Domain via Commons. Further Reading – The Imperial Trans-Antarctic Expedition.